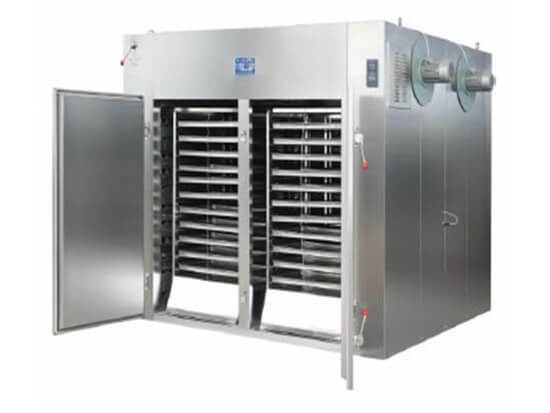 Fruit drying machine adopts hot air circulation drying oven with high temperature resistant axial flow fan and automatic temperature control system, the whole cycle system is fully enclosed, making the thermal efficiency of the oven from traditional heating house 3-7% increase compared to the current 35-45%, the highest thermal efficiency can reach 50%. 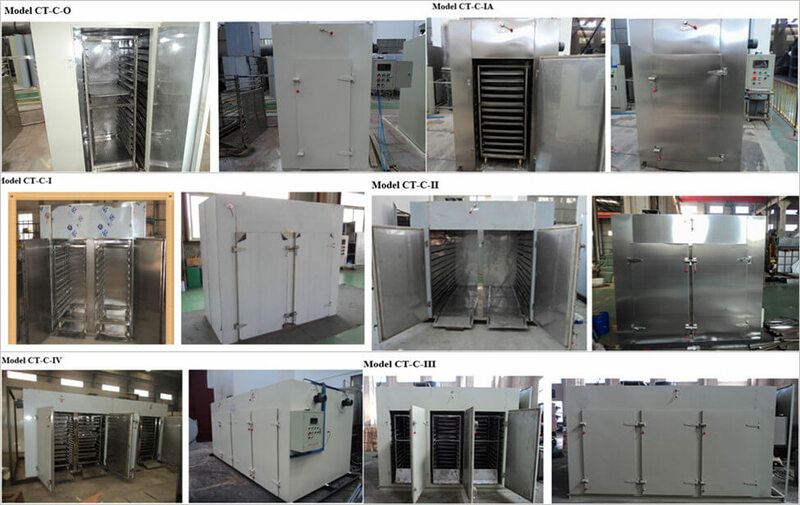 Based on the new and high technology of dehydration, this fruit drying and dehydration machine is widely used in the food processing industry. 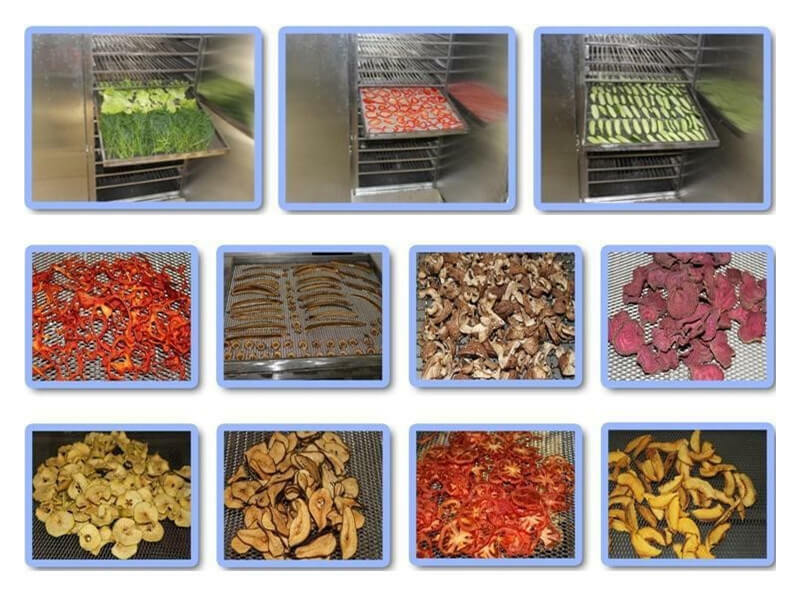 It is applied to dry various materials such as fish, vegetables, fruits, herbs, mushroom, sea cucumber, etc. delicate design and multi-function making it favored by clients worldwide. 4. 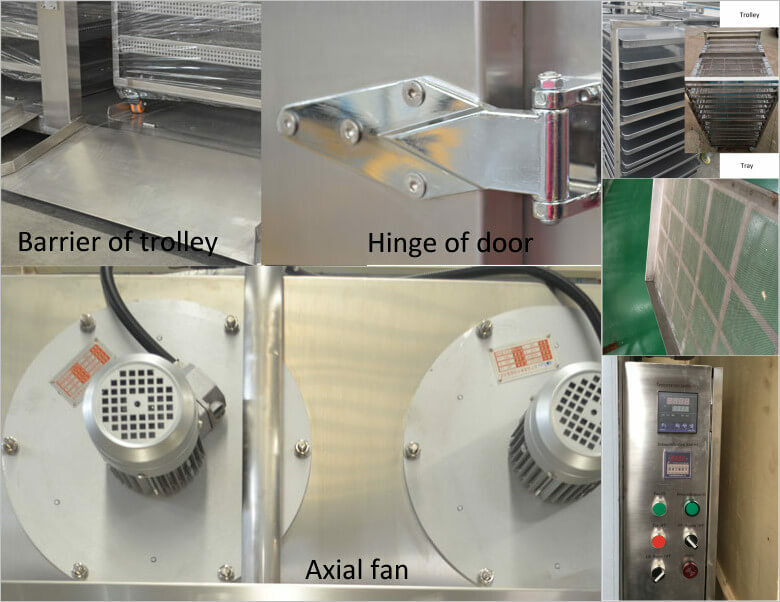 Wide application: suitable for fruits, vegetables, etc. 5. Made of high-quality material: stainless steel. 6. Baking timer per batch: 4-6 hours per batch according to different materials.